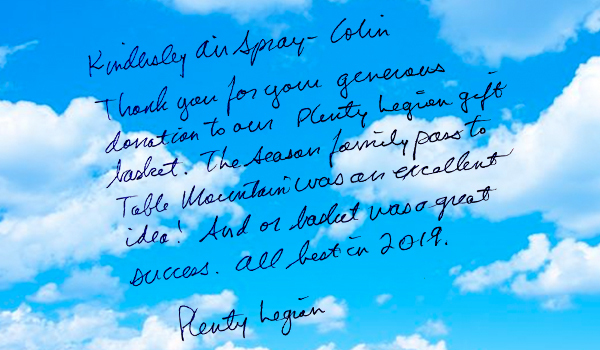 Kindersley Air Spray is owned and operated by the Bevan family who has been providing Aerial Application services to West Central Saskatchewan since 1971 when they opened Herschel Air Services in Herschel Saskatchewan. Today, as Kindersley Air Spray we run a fleet of six aerial application aircraft (Four turbine 510 Thrushes, one radial 600 thrush and one Piper Brave 375) across Western Saskatchewan from of our main base of operations in Kindersley Saskatchewan. Our mission is to provide the highest quality service along with genuine and honest recommendations to enable our farming customers to maximize the success of their operations. We believe Aerial Application is more than good piloting, it’s understanding the products we use and how they affect the world around us. 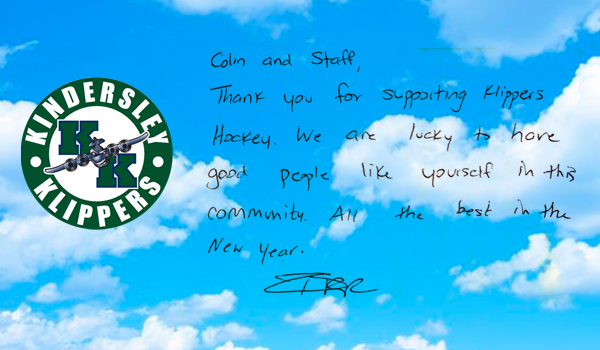 It’s this attention to detail that has helped us grow. At Kindersley Air Spray all of our staff are Federally and Provincially Certified and Licensed. • Past President of the Saskatchewan Aerial Applicators Association. 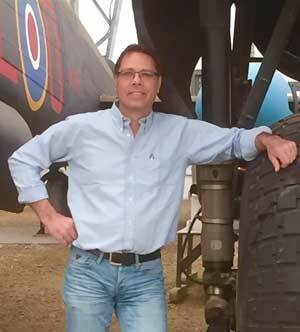 • Director for Saskatchewan Aerial Applicators Association. • Liaison Director with Saskatchewan Aviation Council. • Specialized in Ag Aircraft Maintenance: as an Aircraft Maintenance Engineer with a great deal of expertise and experience in a multitude of maintenance areas Colin is rated for Structural Repairs, Engine Overhauls (including Radial engines) and type training on the PT6 Turbine Engines. • Grew up on a farm and has an ever increasing interest in agriculture. 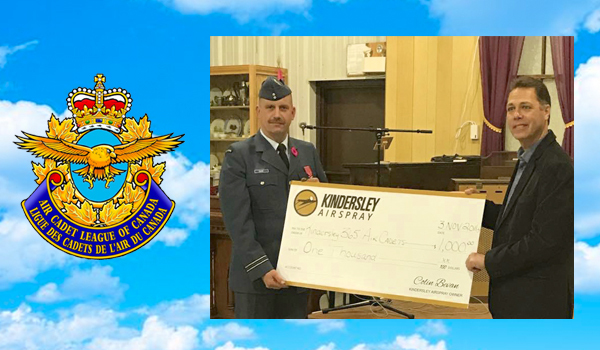 • In addition to being a Certificated Aerial application provider, Kindersley Air-Spray is a Transport Canada Approved Maintenance Organization (AMO) covering everything from small piston aircraft to turbine powered twin engine aircraft and specializing in agricultural aircraft. 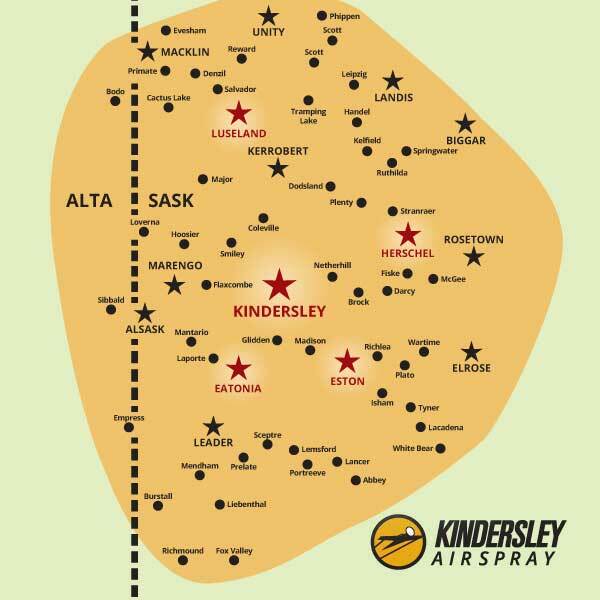 While we generally cover the west-central area of the province, Kindersley Air Spray has mobile units capable of going anywhere in the province.